Nintendo has made its best effort to get people unexcited about playing Twilight Princess HD. The gameplay videos don’t show a game that is radically different from the original. The “Cave of Shadows” is the new dungeon, but it is nothing more than another set of combat trials as Wolf Link. Still, the trailers and first impressions should not deter Zelda fans from checking out this game. Here are eight reasons to buy Twilight Princess HD, even if you played the original. Hero mode is not new to the Zelda series, though normally you need to complete a game before the option is unlocked. With Hero Mode in Twilight Princess HD you take twice as much damage as you normally would. Additionally, there are absolutely no heart drops. Once you get hurt, that’s it, unless you find a place to get healed or buy potions. Zelda games are typically too easy to complete without dying. Rupees are used so infrequently that there is no incentive to collect cash. 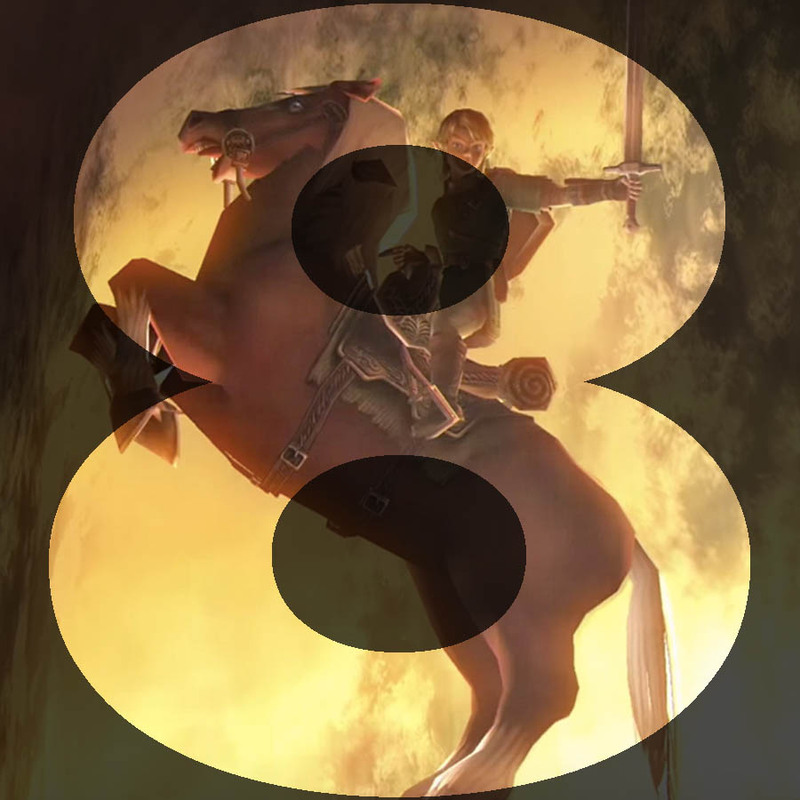 With Hero Mode in Twilight Princess HD, there is constant threat of death, and a player must use all of their resources, items, weapons, and rupees to succeed. I found myself trying my hardest to avoid game ending pitfalls and strategizing my next move. It’s a whole different way to view the Zelda experience, and I honestly feel that it is the way every game in the series should be played. Twilight Princess HD lessens the unnecessary and unenjoyable elements of the original release. The fetch quests you perform as Wolf Link throughout the beginning of the game, known as the “Tears of Light” quests have been reduced in scope. Instead of chasing down 16 of the annoying little bugs with these tears inside, you only need to find 12. Twilight Princess also had a lot of dialogue commands for almost no reason. Every time you would pick up a blue, yellow, red, or purple rupee after starting a session, a dialogue prompt would open up to describe what you just picked up. Collecting bugs resulted in an automatic move to your inventory screen to show the bug. The problem was, the average player already knew and/or didn’t care. In Twilight Princess HD, these windows are gone and the experience is faster. Similarly, there is a button to transform from Link to Wolf Link once you unlock the ability to freely move, which makes a player more likely to explore the game world on four legs. All of these small changes combine to form a much smoother experience. Referencing the above lack of use for rupees, treasure chests with rupees stay open in Twilight Princess HD. In the original, if the player did not have enough room for the amount of rupees contained in a chest, Link would shut the chest for later. What sounds like a “feature” is actually a detriment as the player would later find it difficult to find chests with heart pieces and valuable collectables. The new version of the game for Wii U removes this and allows those chests to STAY OPEN! If you are playing Hero Mode, you will need the rupees anyway. 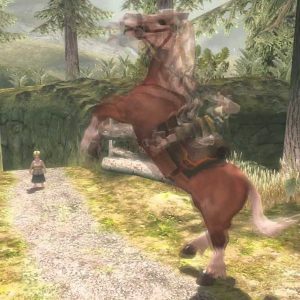 If you have tried to go back and play the original Twilight Princess, you might have noticed that it did not age well. Games that try to realistic graphics are always lame by comparison even a few years later. Games like the Wind Waker HD don’t necessarily benefit from a graphic boost, since their art style stands the test of time. Twilight Princess was looking ugly on widescreen formats. Thankfully Twilight Princess HD resurrects the dark classic. Not only has the game been upscaled to 1080p, but many of the textures have been completely redone, giving the game a modern look. I don’t feel that the videos do justice as to how much better this game looks from the original. 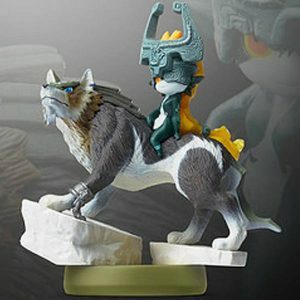 This is sort of a fanboy positive, but the Wolf Link & Midna amiibo that comes with Twilight Princess HD is super cool. Additionally, setting up the amiibo to your save profile allows you to boot your save state direct from the opening title screen — a small plus. You can even bring in the amiibos of other Zelda characters from the Smash Bros collection like Link, Zelda, and Ganondorf. With Ganondorf, damage doubled is taken. And yes, this can be combined with the aforementioned Hero Mode damage increase for a serious challenge. With the Wii U controller comes an easier to use interface for managing weapons and items than the Wii remote. On the second screen (your Gamepad), you can either manage your weapons and items or you can view a map of the area. In either case, having your stash on a different controller minimizes menu time and keeps you engaged in the experience. One of the major issues people had with Twilight Princess on the Wii was the amount of real estate the HUD took onscreen. Granted, you could make it a bit more minimal than the default, but overall, it felt like 1/4 of the screen was being used just to display controls and stats. Because the controls in this version are more similar to a standard Zelda scheme, you can expect that much space to be taken up, allowing for more visibility. On that note, the original Twilight Princess was one of the pioneer games for the Wii and motion controls. It was a Wii launch title that begged players to explore a different way to play, but didn’t do much else. I speak for many when I say that motion controls are not the most tactile or preferred method of control. With Twilight Princess, it felt like a gimmick. Unlike the eventual Skyward Sword with its 1:1 Wii Remote to sword movement, Twilight Princess was little more than waggling your arm around to swing and aiming arrows by pointing at the screen. Not only does the introduction of a button for the sword make the gameplay more responsive, but the accelerometer on the Wii U Gamepad makes aiming weapons like arrows and the slingshot fun. This feature was introduced on the 3DS with Ocarina of Time 3D years back, but it’s repeated use here is wonderful. 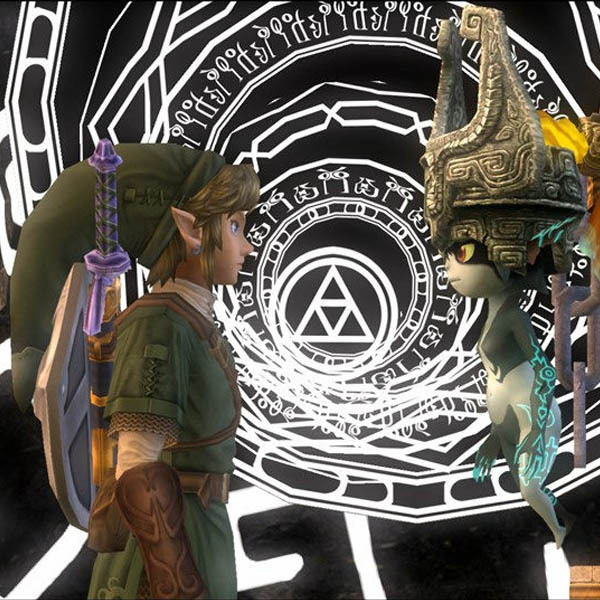 More than anything else above, the reason to play and buy Twilight Princess HD is to rediscover an awesome Zelda title. Back when it was released 10 years ago, it was marked as a dark, gritty Ocarina clone with lots of half-baked ideas and poor controls. Years later Twilight Princess HD allows you to see a big game with some of the best dungeons in the series and a sense of style all on its own. The shortcomings have been reduced to allow for a pure and welcoming Zelda experience.